Justin Schembri is not the sharpest knife in the drawer. Even in a drawer of spoons. The image of his article in-Nazzjon (see below) is making the rounds and your eyes inevitably fall on the highlighted bit where he says “Maybe the Nationalist Party should get closer to the Labour Party and imitate it in order to win over the people who are backing the Government’s policies”. Nothing new there. As Justin Schembri puts it “if you cannot beat them, join them”, the motto of rationalising deserters who switch sides when it looks like they can’t win the war. We know this is the strategy of the Nationalist Party: to rescind what distinguishes it and make itself a vassal of Joseph Muscat. The sheep puts on wolf’s clothing in the hope it might be confused for the real thing. I intended to ignore this article with a sad chuckle until I saw Justin Schembri’s defence when he realised the backlash from his whimpering, defeatist, collaborationist, spineless, coward argument. In summary he says he is being misquoted and the highlighted text is being taken out of context. “I am here talking about the fact that the PN should imitate Labour in the way it communicates (ONLY) because it is clear that the PL is delivering an understandable message and meeting people’s aspirations in a way the PN is not”. “I feel it is time for the PN to take a step back, evaluate its politics, study the sociological makeup of the country today and identify precisely national aspirations, speak about them with vision and passion, even if these aspirations are already being presented by the PL”. 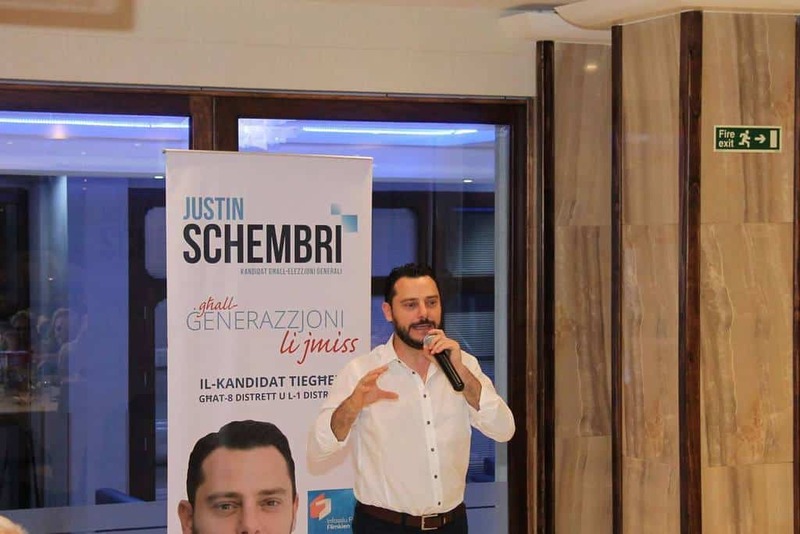 You’re not talking about effective communications Justin Schembri. You are saying the PN should ditch its policies (does it have any?) and take on Labour’s. You know mate if you felt the Labour Party meets the people’s aspirations, why don’t you go ahead and join them? Why should anyone vote for anybody else? You know Justin Schembri, if you can’t beat them, find out what’s wrong with you and fix it. If you want to join them, by all means do so, but then, of course, you’re not beating them: you become them.